David Di Franco is a famous YouTuber who recently created an online course called "10 Guaranteed Ways to Monetize Your Content on YouTube" - click the button below to have a look! Monetizing YouTube videos is actually very straightforward, primarily because the options for doing so are very limited (for now at least). YouTube content creators really have no choice but to monetize through the YouTube Partner Program, which is essentially Google AdSense for video content. 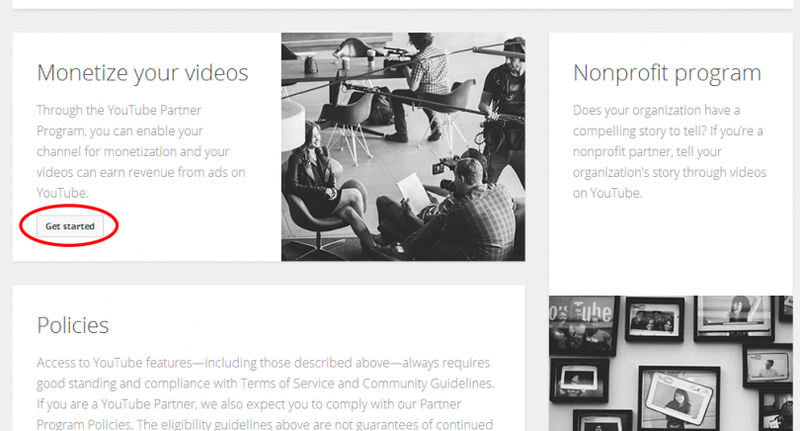 Publishers have the option to choose what types of ads will appear on their videos. If you’re interested in maximizing complete views and giving the best possible user experience, you may want to de-select the TrueView in-stream ads (these are the full screen video ads that let you skip through after a few seconds). Ads with product placements in them aren’t allowed under the terms of service. In other words, you can’t run YouTube videos that have ads already built into them. 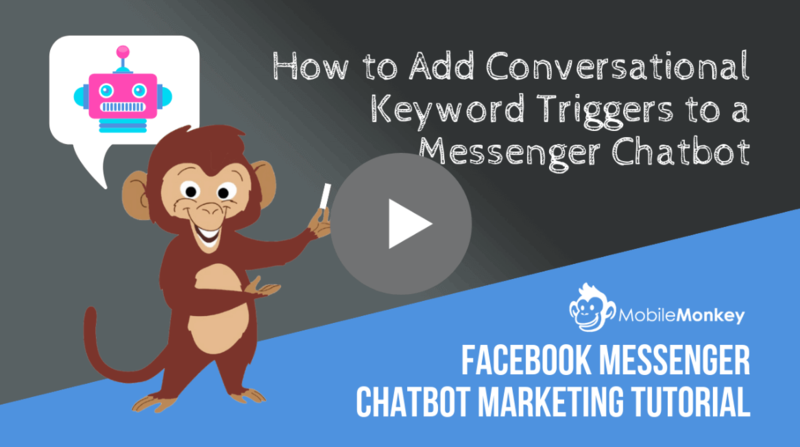 Once you’ve gone through this process, you should see ads appearing on your videos almost immediately. The last step to get paid is to connect your YouTube account to an AdSense account (or set one up if you don’t already have one). 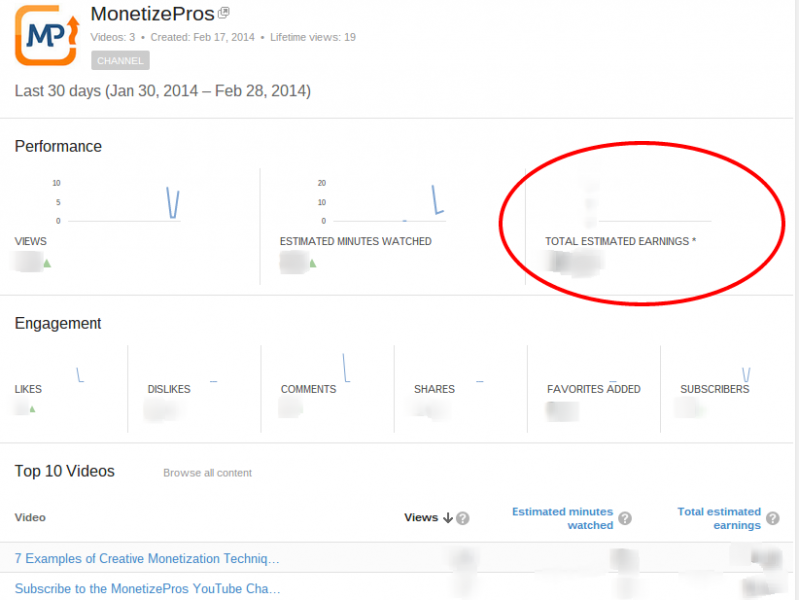 The YouTube dashboard features an Analytics section that will summarize your earnings. Again, monetized YouTube accounts must be associated with an AdSense account in order to receive payment. All earnings are remitted through Google AdSense. There are really only two factors that impact earnings from YouTube videos: the number of views your videos get and the cost per click associated with the ads shown. With YouTube, there are no real opportunities to monetize more efficiently. 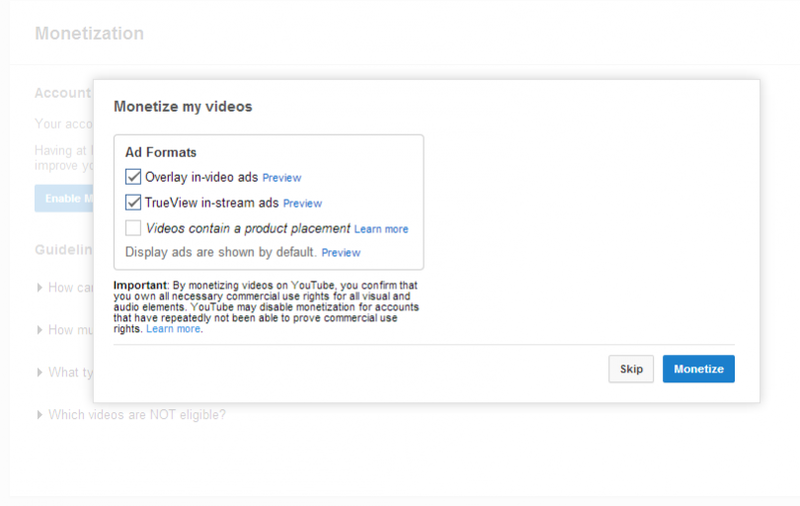 Users can opt to allow TrueView in-stream ads (as shown in the screenshot above), but beyond that the monetization aspect is largely out of your hands. In other words, a YouTube channel covering New York hotels would probably generate more revenue per click than a channel about Notre Dame football. 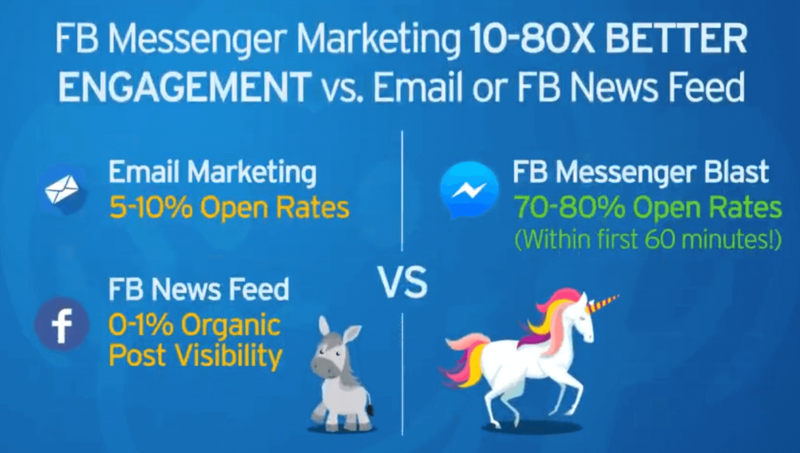 Advertisers are willing to pay more for traffic interested in the former topic, since these visitors can translate into meaningful revenue. There are some obvious problems with simply chasing CPCs. Many of the topics associated with the highest CPCs are extremely competitive, meaning that you’ll have a tough time getting your video seen. Moreover, it’s tough to create high quality, engaging videos on topics that you don’t know much about. Making a few dollars of revenue on YouTube is easy; you can be up and running as a partner, pump out a few videos, and have your first ads appearing withing a day. The tough part is making enough money to support yourself full time. In a way, YouTube is a lot like professional baseball: a few stars make it big and get rich, but most toil in obscurity and retire without ever coming close to the big leagues. Some publishers are definitely getting rich from YouTube; the average of the top 1,000 channels is $23,000 of monthly revenue. According to Google, “thousands of channels are making six figures a year”. 30% of the YouTube videos account for 99% of total views. The average YouTube video gets about 500 views, with 25% of total views coming in the first four days and most viewers watching less than 60 seconds. (2010). Only about 10% of videos get more than 1,000 views in their first month (2008). Half of all videos get fewer than 500 total views (2009). That may be a harsh reality check for content creators who have big dreams of opening up a new revenue stream. But the fact of the matter is that only a very small portion of YouTube partners make more than a few hundred dollars in revenue from the program before giving up and focusing elsewhere. Of course, there are other ancillary benefits to maintaining an active YouTube channel. Specifically, a YouTube channel can be a way to get your content in front of additional subscribers, boost your position in search results, and increase the time visitors spend on your site. In other words, the real money to be made with YouTube is indirect: it comes in the form of more visitors and a more engaged audience. We set up a MonetizePros YouTube channel not to get rich off of video ads, but to carve out a new platform to share our content. For the time being, YouTube monetization is a very simple equation. Making enough money to support yourself from YouTube videos, quite simply, requires a huge number of video views. The first few dollars of revenue generally come quite easily; set up is minimal, and there are only a few steps required to get up and running. But cashing a big paycheck from YouTube requires considerable time, effort, talent, and a bit of luck. I absolutely love your blog and find almost all of your post’s to be just what I’m looking for. Does one offer guest writers to write content for you? I wouldn’t mind creating a post or elaborating on a number of the subjects you write regarding here. Again, awesome site! YouTube monitization policybis unfair to advertisers and will hurt Youtube long term. We are glad we were able to be of help. Thanks for sharing the monetize article in deeply. This helps me alot. Thank you for this article. I’ve been looking for some more in depth information on YouTube monetization and have many articles only scratch the surface. This helps clarify this for me. a few things I’ve been wondering about. Do the different add types differ in payput? For example, are the bottom of the screen ads more profitable than the slippage ads? Also, are these purely PPC or are they PPM as well? Thanks!! Also a quick question, even If I give credit to the artist and put the name of a song in the description. I still cannot make money on it unless the music is my own correct? If my video is 8 to 9 seconds long, can my video still be monetize? Great reading your reply – may I ask what’s your youtube channel name? Excellent article! You’ve summed up the basic tenets of YouTube monetization and maximizing YouTube earnings, really well. That said – and again as you have already mentioned in the article, most YouTubers do not make a lot of money, not because it is not possible to do so, but because they give up too fast especially after they have spent a disproportionate amount of time on creating, marketing and optimizing their videos. I believe YouTube offers reasonable potential for full time income – but only to full time players, with large volumes, i.e. a lot of videos, that too across multiple niches. I for one run multiple YouTube channels, with very average quality of videos at best (minimum to no editing time and effort expended) but very well indexed and optimized with relevant keywords, and for the time and effort involved in making and uploading these videos, I would say the monetary returns are pretty decent.